As a business owner and marketer, you may find it hard to bring forth great emails with outstanding images and actionable copy. For this reason, I will share five great Black Friday email campaigns that you can start using in your business. For each example given, I will tell you what it is, why it is effective, and how you can apply these ideas to your Black Friday campaigns. What it is: Mush created a gift coupon instead of offering a store-wide sale. Why it is effective: Mush uses Black Friday as a means of increasing the average order value in their store. Providing a gift is an attractive way of getting potential customers to your store on Black Friday. Implementation: You can still take part on Black Friday even if your company does not discount or you cannot afford to reduce your prices. Black Friday gives you a reason to contact your customers. Use the opportunity to email them with any offer you with can create that weekend. Keep your emails simple and do not overcomplicate your offer. Subject Matter: Black Friday – 35% off everything! What it is: A simple but well-planned email from Jumo announcing their Black Friday sale. Why it is effective: This email clearly makes an announcement about the deal and has a targeted CTA. Sometimes, keeping it simple is the best way to go. Implementation: Make use of the simple approach to your Black Friday sale announcements. Use a clear subject line with the sale discount, and incorporate a call-to-action(CTA) in your email that will bring potential clients to your homepage or the page with the items that are on sale. Subject Matter: Extended! 40%. off everything. What it is: Krest extends their Black Friday weekend sales till Tuesday. 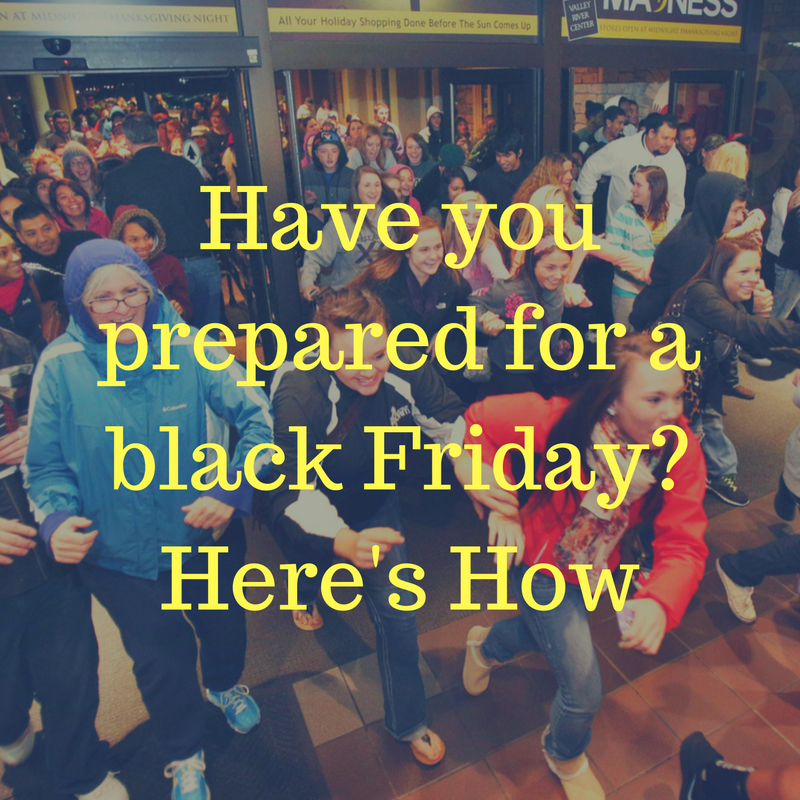 Why it works: Not everyone will have a chance to check out your Black Friday deal. Extending the sale last-minute when your competitors just ended theirs gives your customers another opportunity to buy from your store. This email is also useful because it is unexpected. Implementation: Consider extending your sales and surprising your customers. You can offer a new discount for the extended sale to trigger more sales. What it is: Jinxx turns their Black Friday sales into a giveaway. Why it works: Giveaways and contests can cause more excitement in a Black Friday deal. Jinxx is giving buyers more bonuses to shopping on their website on Black Friday by giving each purchase a random entry to their giveaway. Implementation: Run a contest together with your sale or provide every customer that makes a selection the chance to win a reward. Finally, do not shift from the original message or design. If you have been delivering wonderful content or stories with each email, that should not change because of Black Friday. Look for a way to weave your Black Friday emails into what you have been doing before. Make sure that it is organic. Subject matter: Chinster Almost Sold Out! Black Friday Price + Free Shipping For a few more Hours! What it is: Chinster gives their customers a Black Friday status report about the shoes that are on sale. Why it works: Chinster uses the elements of scarcity throughout the email. “Almost sold out, ” and “Moving quickly, ” creates a sense of urgency. Even the subject line “Chinster almost sold out! ” creates the feeling of urgency too. Implementation: Try to create scarcity in your email marketing, specifically for Black Friday. Try to create urgency and use your email messages to remind your customers that your sale will be closing. If email marketing is not a big part of your development strategy, take the time to learn why it is vital for your business. In case your email list is small, start building it now to take advantage of Black Friday massive traffic. You do not need a big email list for your Black Friday sales to be successful, but the bigger the list, the better. With the correct amount of engaged subscribers to your e-mail list and also excellent, well-crafted e-mail, your business can have a successful Black Friday.